I meditated for a while about what I would blog about for the month of March. I kept trying to figure out how I could cleverly present to you some useful legal advice, which you could put in your BOSS informational arsenal. However, as I pondered about what legal advice to provide, I realized that you would need more than one blog to understand ANY legal subject matter. 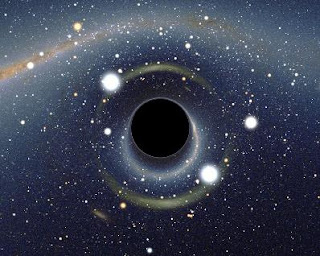 I, also, figured that I could present to you a more interesting read. I mean who REALLY wants to read about contracts? I was moved about sharing with the wonderful women of the BOSS Network, why I do what I do. I wanted to share with you the duty that I have to my community having the honor of serving as an attorney. In the spirit of Women’s History Month, which is right after African-American History Month, I felt that this was the most appropriate subject matter. I thank my mother for exposing me to my history early on in my life. My mother would take me to the library and require me to check out books that were about the lives of famous and historical African-Americans. To ensure that I actually read the books, my mother would then make me write a book report about what I read. All of this was independent and outside what I was being taught in school. During this time I learned about the lives of Booker T. Washington, W.E.B. DuBois, Mary McLeod Bethune, Malcolm X, Dr. William Cosby, Althea Gibson and many, many more. While embracing the stories of these courageous men and women, I noticed a common theme in all of their stories: they were all dedicated servants to their communities and the fight against the rampant injustices in American society. In every story that I read, each person realized early in his or her life that this journey was not just about them. They dutifully saw the bigger picture. Take Mary McLeod Bethune for example, which was one of my favorite biographical reads. Bethune, the daughter of slaves, became one of the most progressive educators and best businesswomen in the nation during her time. She dedicated her life to providing quality education to African American students in a school that she founded and helped fund. Her lifetime accomplishments go above and beyond what I am able to blog about. However, when commenting about the historical overturn of Plessy v. Ferguson (U.S. Supreme Court case that adopted the practice that it was legal for African Americans to receive “separate but equal” access to public facilities and accommodations), Bethune wrote, “We must gain full equality in education ...in the franchise... in economic opportunity, and full equality in the abundance of life.”* At no point did she ever refer to her service from an “I” perspective. She spoke for and worked for the greater “we”. She dutifully saw the bigger picture. The same goes for the others that I read about. That’s why I do what I do. I realize that my practice in the law is not just about me. I became a lawyer to serve as a resource to my family and my community. I serve as a lawyer to protect our future, to fight against injustices and to make sure we have a voice throughout the process. You may not know every battle in which I am engaged but know that I’m in the trenches, with many others. Yes, I close deals and I make sure we’re, at least, at the table. Yes, I review contracts and I make sure that we, at least, have a perspective. Yes, I try cases and I make sure that, at least, we are on the jury. In every aspect of what I do, I bring my view. My view is that of a Black woman, from the south side of Chicago who wants economic, educational and abundant equality for us. I want the same for us as those who came before us. We have made tremendous strides, but take it from a woman in the legal arena, we still have a very long way to go. I'm reminded everyday of why I do what I do. Thank you to those who came before me who fought for my opportunity to keep fighting. I dutifully see the bigger picture. It’s not just about me. *"Mary McLeod Bethune." Wikipedia. Wikimedia Foundation, 03 Nov. 2012. Web. 1 Mar. 2012. <http://en.wikipedia.org/wiki/Mary_McLeod_Bethune>. 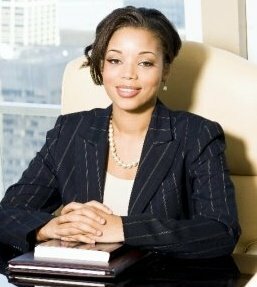 Dartesia A. Pitts is an attorney based out of Chicago, IL. Follow her @DAPLegalTip. You can contact or learn more about her on www.DAPLegal.com. 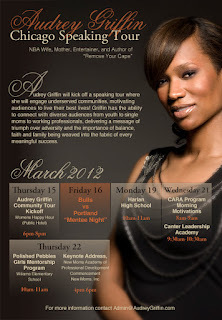 Legacy Venture Client Audrey Griffin Launches Chicago Speaking Tour! Audrey Griffin will kick off a speaking tour on March 15 where she will engage under served communities, motivating audiences to live their best lives! Griffin has the ability to connect with diverse audiences from youth to single moms to working professionals, delivering a message of triumph over adversity and the importance of balance, faith and family being weaved into the fabric of every meaningful success. Griffin will host assemblies at Chicago Public Schools and visit girls mentoring programs. The tour will culminate with a keynote address at a commencement ceremony for the New Moms Academy of Professional Development, a program that provides resources for employment and self sufficiency for teen moms who are transitioning from homelessness. Wife, Mother, Author, Entertainer and modern-day woman lifestyle blogger, Audrey Griffin, M.A.Ed., is dispelling myths and shattering stereotypes with her dynamic approach on how to thrive as a contemporary woman in today’s fast-paced world. With a foundation of faith, this devoted mother of four and wife of NBA player turned NBA coach, Adrian Griffin, and former Vice President of the National Basketball Wives Association, is redefining the art of womanhood. Savvy business woman, burgeoning author, and generous humanitarian describe her. Faith, family, friends and a fierce drive to help people live better lives motivate her. Inspired by her personal epiphany to abandon her superhero ways, Audrey Griffin is renewing minds and teaching women how to take control of their lives, manage their households, master their time, and create fulfilling families, marriages, and most importantly to live out their dreams! For more information visit http://removeyourcape.com or email admin@audreygriffin.com. For media inquiries, please contact Halleemah Nash at nash@legacyventureconsulting.com. Why does everyone think marketing is so easy that anyone can do it? This is a repeated mistake that small businesses make unwittingly. When they need help with a marketing project, they hire a student, stay-at-home parent, unemployed friend or acquaintance, spouse or someone’s niece or nephew to do what seems like a simple task. Marketing, however, isn’t as easy as it seems—no offense to anyone that is a stay at home parent or a self-taught, self-proclaimed freelancer. Be careful about who you name as your chief marketer. Marketing requires particular knowledge, experience and creativity. The wrong person can do a lot of irreparable damage. Like it or not, not everybody is good at marketing. In my mind there are two types of marketers: one is an ‘idea’ person and the other is ‘hands-on.’ You may need to hire more than one marketer to carry out your marketing plans. The marketer with the ‘big idea’ may not be the same person who actually creates a direct mail piece or builds your web site. That is why marketing firms and advertising agencies exist. One side of the house ‘thinks’ while the other side ‘produces.’ So how do you know if you are working with a marketer that actually knows what they are doing? Ask for samples of their work and referrals. Never hire a marketer simply based on what they saythey can do for you. There are a lot of fakes out there who talk a good game, but can’t finish a project or deliver any real results. References are critical in this game. If you hear negative comments about an individual or firm that you are thinking about working with, do them a favor and put it right out there on the table and acknowledge it. They need to know what people are saying about them and the way they do business. If you feel comfortable enough to proceed after talking it out, by all means carry on. But if you don’t, go with your gut and find someone else. There are too many fish in the sea to just settle for anything that moves. § Perceptiveness: They get you and what you are trying to accomplish. They know who your target market is and how they buy. § Budget Conscious: If you can’t afford it, it doesn’t matter how great the idea is. Tell your marketer what you are willing and able to spend up front. Let them know that you don’t like surprises (as far as your budget is concerned), and you want them to optimize your marketing spending. Sure, there are lots of things you could do, but what can you do that will give you the greatest return with the least amount of money, time and effort? § Git' R' Done Kind of Person: A master marketer will deliver more than just lip service. No matter what it takes, they will efficiently and diligently get the project done to your satisfaction on time and on budget, every time. § Web Site Portfolio: Before you hire a marketer, look at their web site. If they don’t have one or it looks like hell, why would you hire them? It’s like going to an upscale hair salon and expecting a spectacular ‘do’ from a stylist who is having a bad hair day or doesn’t care about their own appearance. A marketer’s web site should be professional, simple, interesting, and by all means up-to-date. If it doesn’t sell you, don’t hire them!